The home-grown jewellers, Kalyan Jewellers IPO is getting listed on the stock exchange. It is expected that Kalyan Jewellers will file a draft prospectus with the SEBI by the end of april 2018. Kalyan Jewellers IPO size would be somewhere around Rs. 2500 crores. The article herein reviews Kalyan Jewellers IPO & mentions more details about this IPO like the IPO objective, the IPO size, IPO lead managers, IPO release date, IPO offer price, promoters of the company and its background. Kalyan Jewellers, started with one store in Kerala in 1993, has now 122 stores in India as well as Gulf countries. Kalyan Jewellers is backed by Warburg Pincus who initially invested in 2014 to the tune of Rs. 1,200 crores. Thereafter, there has been another round of capital infusion by this private equity investor in 2017 which amounted to Rs. 500 crores. It is expected that the IPO coming in, would also include an offer for sale from Warburg Pincus. 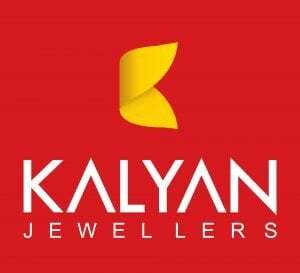 Kalyan Jewellers is a retail chain of jewellery and deal in gold and diamond jewellery. The lead managers for Kalyan Jewellers IPO are probably – Axis, ICICI and UBS. The confirmation for this will be out only once the draft prospectus is released. The release date for Kalyan Jewellers IPO is still to be disclosed. The release date is expected to be somewhere before the mid-year close. The allotment status refers to the proportion of shares allotted against the subscription made for such shares. 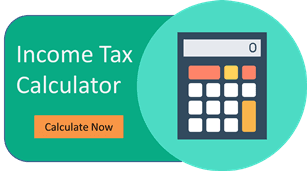 The details of allotment would be updated, once the subscription process is completed. Kalyan Jewellers IPO has not been floated out in the market and hence the IPO price band is not known yet. The details would be shortly updated herein. Issue size for Kalyan Jewellers is expected to be close to Rs. 2,500 crores. This may not be entirely through fresh IPO; some part may be via secondary issue i.e. sale of shares by the existing shareholders. The proportion of the fresh issue and secondary sale would be updated herein shortly. The details of the number of equity shares being offered under the IPO is not disclosed yet. The details would be shortly updated herein. Kalyan Jewellers India Limited started its business in 1993 with a store in Kerala. And since then, it has grown to own more than 120 stores in India as well as Gulf countries like UAE, Qatar, Kuwait and Oman. It also has certain mini-stores in rural areas which have been set up under a special programme run by it i.e. My Kalyan programme. The focus of Kalyan Jewellers has been towards the quality of product, the taste, the designs and the service to the customers which makes the customer feel as if the shopping experience has been worthwhile and in proportion to the value of money. Offer The offer is expected to be close to Rs, 2,500 crores. The details would be updated upon release of draft red herring prospectus by the company. The issue price is generally determined by the company in consultation with the Lead Managers on the basis of various qualitative and quantitative factors. The grey market for Kalyan Jewellers will open 15 days before the company opens its IPO subscription. The date of the same would be updated shortly.